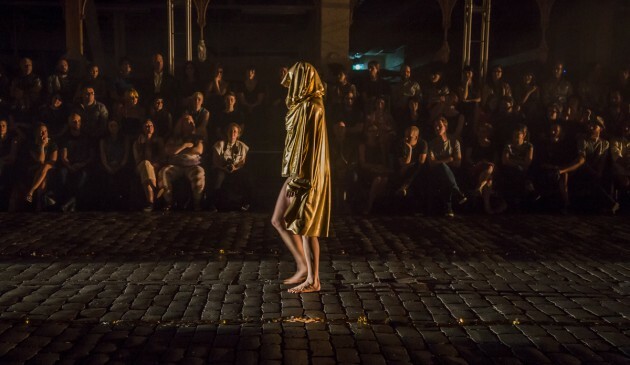 Vitalstatistix spoke with Paul Gazzola, Adhocracy co-curator and Artistic Director of OSCA – Open Space Contemporary Arts (South Australia); and Willoh S.Weiland, Artistic Director of Aphids (Victoria) and co-creator of Crawl Me Blood, a new work in development with Vitalstatistix. V: Both of you lead small, under-resourced, experimental, artist-run organisations. It’s a tough environment at the moment. Tell us about your organisations and what makes you proud about how they work in the current context of Australian arts? PG: In January of this year I began in my new role as Artistic Director of the South Australian-based organisation, OSCA – Open Space Contemporary Arts. 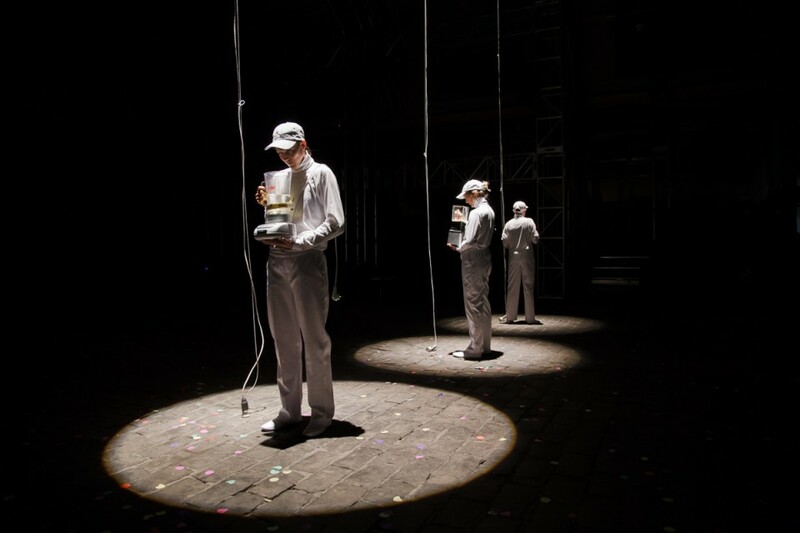 OSCA is a platform and conduit for artists to extend their practice in a supportive and collegial environment; it’s the brainchild of Dario Vacirca who took the chance to re-establish KneeHIGH Puppeteers as a contemporary arts-based company. OSCA’s mission is to provide artists and non-artists with opportunities to dream, develop and create contemporary art works that explore new models of participation and practice in urban and regional contexts. 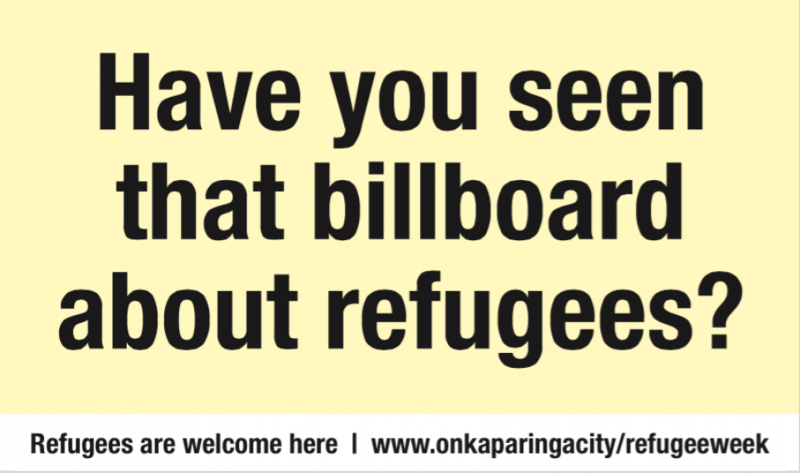 OSCA explores contemporary notions of being Australian through community engagement, collaboration and exchange. Three years and fifteen-plus projects into its new life, OSCA is finding its momentum as it defines its place within the local ecology of South Australia and the realm of artists and individuals that it collaborates with on a local, national and international scene. WSW: Aphids is Melbourne-based company that has been making interdisciplinary art for twenty one years. I work with an incredible group of artists, including Artistic Associates Lz Dunn and Lara Thoms, who work as artists and managers of the Aphids supermassive program. What’s amazing about Aphids is its ethos of being artist-led, working collaboratively and working across disciplines, which has not changed across its long history. V: Each of you have been part of Vitalstatistix’s national experimental arts hothouse, Adhocracy. Paul, you have co-curated Adhocracy with Emma and Jason for the past four years. 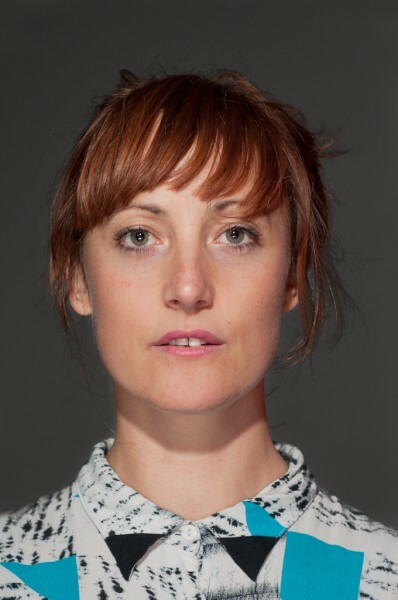 Willoh, you have developed two works through Adhocracy’s residency program, where a national project undergoes creative development with a team of South Australian collaborating artists. What are your thoughts about the value of Adhocracy and the kind of opportunity it presents for artists? 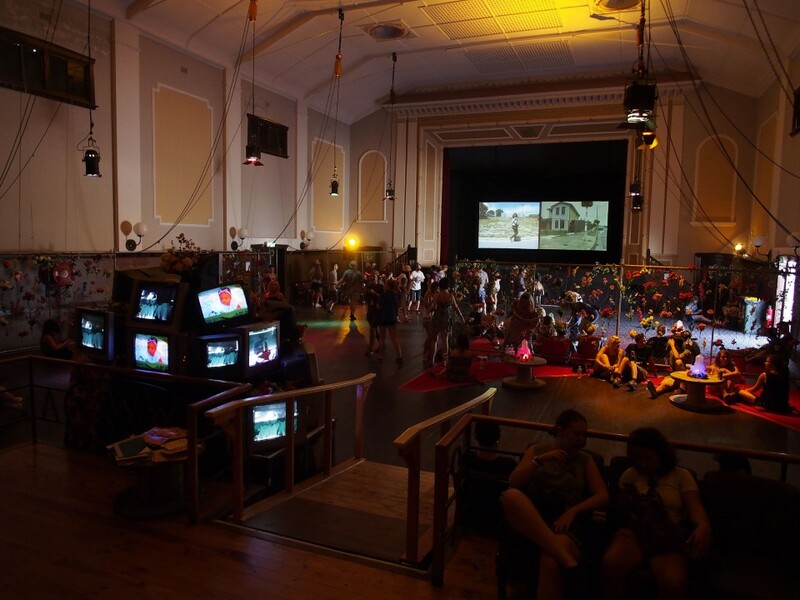 PG: Adhocracy is a highly unique event in the experimental and interdisciplinary arts calendar of Australia. 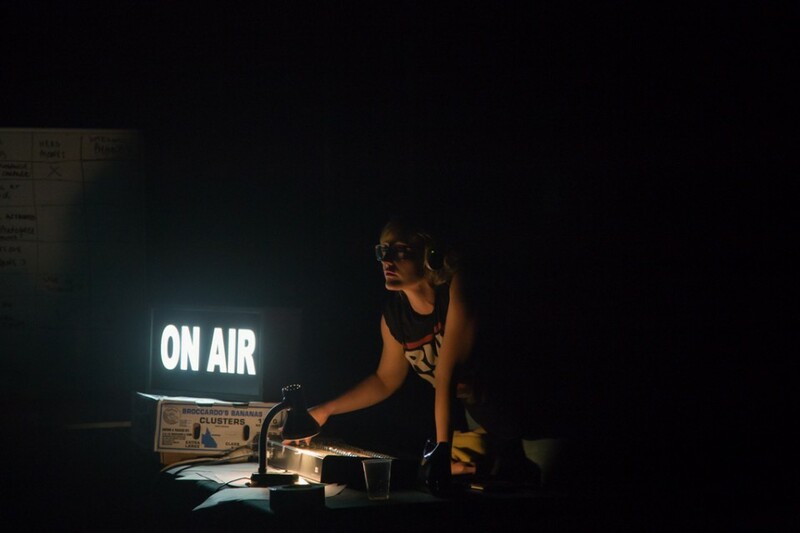 Its open call-out offers national and local artists space, time and technical support to develop and explore new ideas and formats of presentation across a diversity of sites, over four days within the Waterside Workers Hall – the home of Vitalstatistix. As a former participating artist in 2012 and current co-curator since 2013, I have seen Adhocracy evolve as a highly engaging event that continues to open up new models of audience accessibility and participation within the SA contemporary arts scene as it focuses on stimulating and supporting emerging and experimental arts practice within Australia. WSW: Yes, we have developed two works through the residency program, Forever Now and Crawl Me Blood, both of which have been incredible, fruitful opportunities that have had huge impacts on the way the projects have unfolded. The unique thing about Adhocracy for us has been working with local SA artists. This allows a different kind of experimentation to take place. In both residencies these artists have taken on a variety of roles becoming collaborators, writers, performers, researchers, audience members – allowing us to test the breadth of the idea in a much broader way than we would if it was just us in a room. 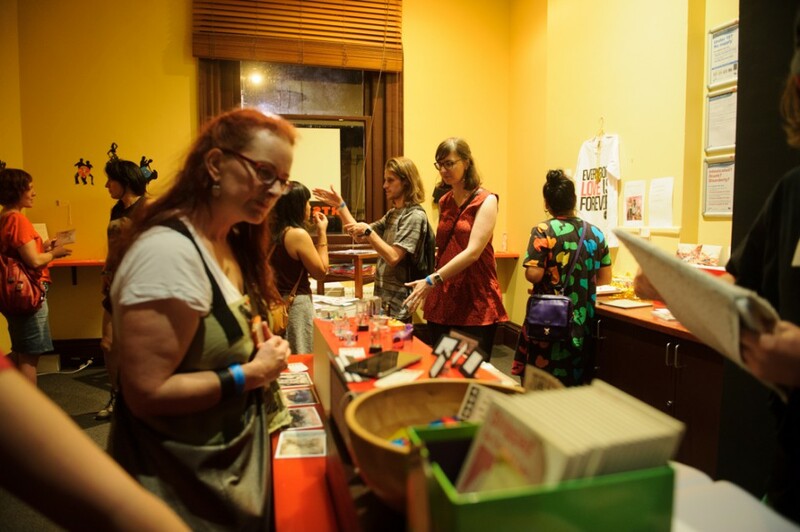 V: What advice would you give to artists interested in applying to Adhocracy this year? PG: Make your application simple, clear and precise in what you want to do. Don’t get too lost in heavy concepts but make sure you think about how an intense residency can allow you to explore your ideas and further your project. Also remember that to make work, means being able to speak about how you make work. Part of the curatorial focus of Adhocracy is to facilitate the public’s engagement across the event so you will be expected to present your work through a series of showings or talks. WSW: DO IT. It’s an incredible chance to work on a project at the really vital stage of its development, the point when all the wild ideas coalesce into decisions! If you are interested in collaborative models for art-making and experimental practice then it’s an ideal place to learn. V: Willoh, last year you won the ANTI Festival International Prize for Live Art; Paul, you also regularly work in a live art context. How do you describe what live art is? PG: It’s always an interesting question to frame parameters for live art. I just made a new work for the Festival of Live Art (FOLA) called the FOLA GIFT SHOP by OSCA that precariously placed a commercial venture within a heavily subsidised arena. So live art, from my perspective, plays with form and experiments with possibilities. It centres on the moment of encounter in real time between the artist and the spectator. The slippages in its difficulty to be defined, is its liberty and its confusion. The aspect of liveness in its title reminds one of the immediacy of a practice that works within the experience of engaging directly with the public in action. Overall, I actually prefer to leave the defining of the term as an open-ended one. Especially as its historical emergence, in the mid 1980’s in the UK, was exactly about trying to locate an expanded genre of work that didn’t fit the current categories and classifications of dance, theatre or performance. 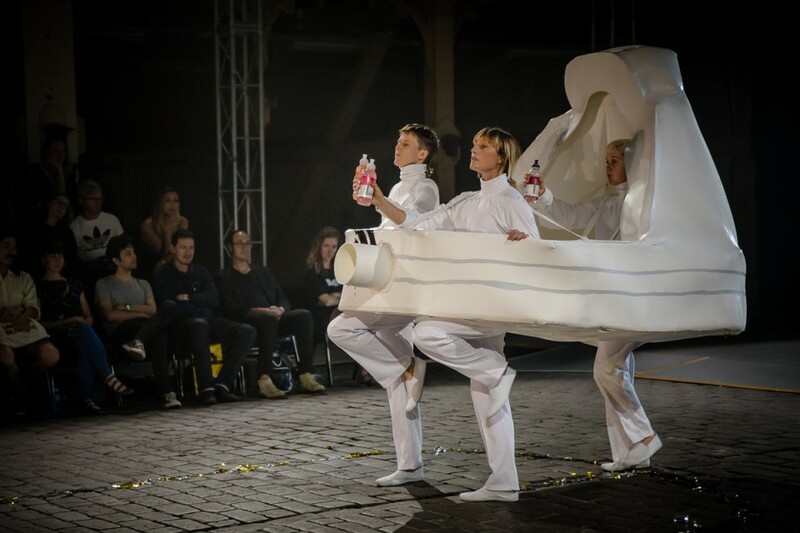 So maybe its better that a statement on what live art is goes out to the audience as their complicity in the form is paramount to its’ coming to be. WSW: It’s like Kate Bush. It’s mysterious and weird and rarely seen. It’s for the people, by the people and it challenges the people to re-define how they view performance. Actually I usually direct them to the incredible video by UK live art hero Joshua Sofaer. V: How important is social practice and sense of politics to you? What makes art contemporary and/or radical? PG: My interest is to how art practice offers a space for new ideas and viewpoints that challenge the normative notions of society and the way things are. Hence, the interweaving of a social dimension is fundamental in the work I create. And by default, its politics lie in how I negotiate processes when working with others. This means I aim to work from a strong ethical position that is conscious of the relationships that develop and unfold over time. That being said, I don’t believe art is always about the provision of a democratic space and this may be where notions of art being contemporary or radical are of use to discuss. If I address what I normally see associated with these terms, I am usually reading a promo line. WSW: I think making art is radical in itself. To choose to be an artist is by its nature to live on the outside and I think this applies across form from landscape painters to contemporary art makers like ourselves. The political necessity of art is something that has always driven me, I think the ability of a society to celebrate and support its artists – and voices that are often outside mainstream opinion- speaks to the heart of democracy and our capacity to value and encourage debate. V: Tell us about a project you are working on in 2016? I am also in the process of developing two new projects in regional Australia. The first, Collectors/Collections, is in collaboration with artist Nadia Cusimano and the community of local collectors in Waikerie. It focuses on the preservation and presentation of their collection of super 8 films that form an integral part of the historical memory of the town and the river. And secondly, I’m working on a new work for Cementa 17 that explores the relationship between art, economics and life. 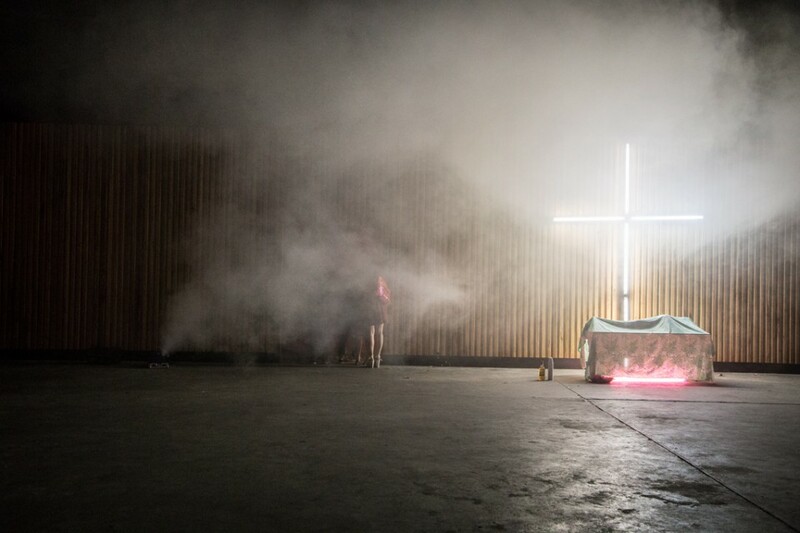 WSW: We just finished our major work for this year, Howl, a parade of controversial artworks, which premiered at the Festival of Live Art (FOLA) in Melbourne. In August I’m moving to the wilds of Finland for three months where I am premiering a new work commissioned from the ANTI Festival live art prize. V: You both have strong associate relationships with Vitalstatistix. What value does these types of long-term relationships between artists and organisations hold? PG: Long-term relationships with institutions and organisations generate possibilities. They offer a healthy and supportive environment to develop projects and initiatives through the ongoing understanding of each other’s interests and evolving agendas. They also become a facet in how one can survive and maintain an arts practice. Vitalstatistix’s history of working with a pool of liked minded makers and presenters clearly shows how it understands the way community is formed and maintained. 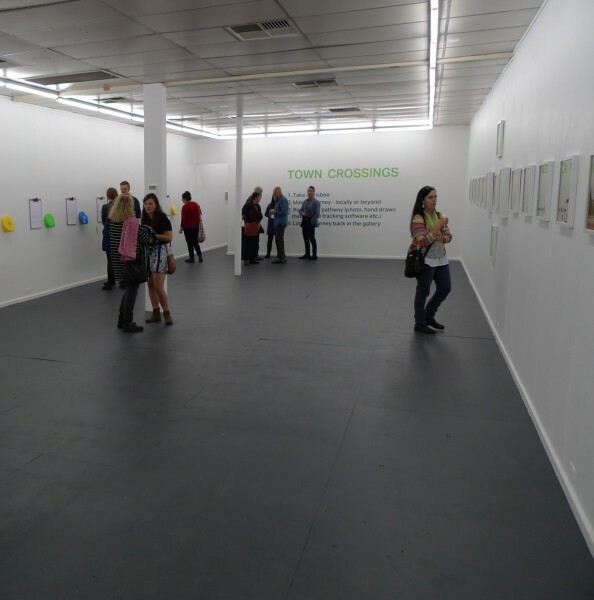 That it also holds a unique space in Australia as a feminist organisation with a continuing tradition of supporting women artists is key to its ongoing importance. Vitalstatistix’s ability to champion and generate a space for the diversity of voices and ideas that challenge the mainstream and experiment with changing the world is as the name says ‘vital’. WSW: I think this current environment demands that everyone, from major organisations to independent artists, be vocal advocates for the value of interdependence. We shouldn’t be silo’ing ourselves but seeing the obvious lineages between independent practice and bigger companies. However because organisations have more infrastructure, they need to be the ones to reach out, to create structures that will support this idea, like Vitals does so well. Basically all organisations should take a leaf out of Vitals book, make a program small or large that does something to support independent art making. PG: Whilst I do have great concerns about the dwindling economies of the various local and national funding bodies, I am never too worried about the future of Australian arts practice. One can never underestimate the power of individuals to produce and create works of great importance and nourishment for the cultural life of our nation at any time or under any condition. So whilst successive governments continue to financially decimate the frameworks that offer and support diversity, artists will always continue to make things happen where it seems impossible. WSW: About the art itself I feel privileged to be working in a community of people who are so visionary, who are making world-class work, who are literally at the forefront of creative experimentation in the whole universe. A few days out from the dreaded Australian Council decision for small-to-medium organisations, I feel distressed, as what I know is that the manifest unfairness that we saw exhibited in the politically motivated and insanely managed decision-making of the Abbott government in the last year, will on May 9th have an incredibly harmful impact on artists and organisations. No one is going to win. It’s everyone’s responsibility to take action towards the arts not being in this position again. End rant.